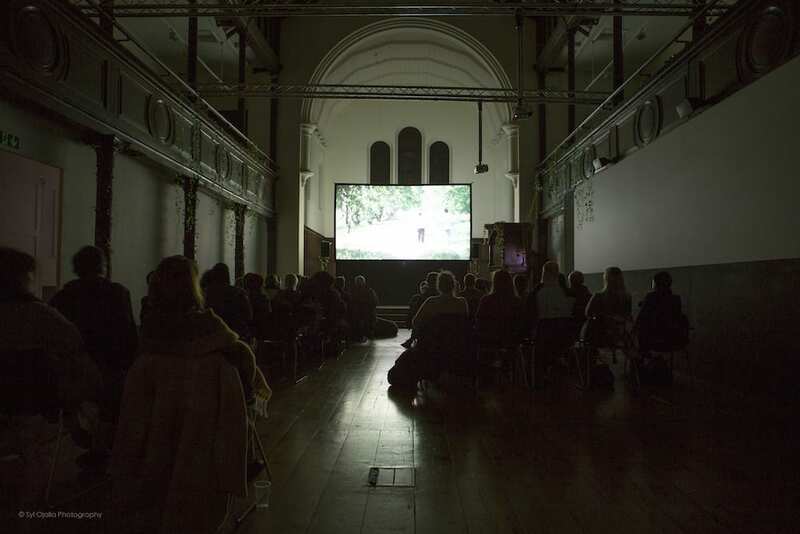 Fabrica, one of Brighton’s spaces for Contemporary Art is looking for film enthusiasts aged 16 to 25 to join its group of young film programmers called ‘Fresh Perspectives’. Liz Crane, a third year student on Fine Art Critical Practice tells us what’s involved…..
I’ve been part of the group for a couple of years, and have learnt a lot over this time, building on professional skills useful for events organisation and management. I’ve also had a lot of fun, made friends with my fellow programmers and seen and heard about a lot of films I might not have otherwise known about. With the help of Fabrica’s experienced and friendly staff team, we’ve put on 8 film screenings in the gallery over the period of a couple of years. The process of putting on a film involves regular meetings (about once a month), where we shortlist and choose films based on research we’ve done around a particular theme or focus audience. There’s lots to get involved in, including promoting the event, arranging programmes and venue decor and liaising with guest speakers. The facilitators at Fabrica also organise workshops with other organisations, such as Eyes Wide Open who put together programmes that explore queer lives on screen. There are also networking opportunities with professional programmers, which allow you to gain a deeper understanding of the industry. We have screened a broad range of features and shorts, including silent films and several foreign language films. Around these screenings we have programmed ‘cinema plus’, which adds to the viewer’s experience of the film. The most memorable of these was for Uncle Boonmee Who Can Recall His Past Lives, a surreal Thai film. We dressed the venue to recreate the forest inside the gallery, and one of us was dressed up as Uncle Boonmee for the duration of the film. We have also arranged specialist academic speakers to give introductory lectures for other screenings. For our most recent screening, of the Saudi Arabian film Wadjda (the first Saudi feature directed by a woman), we invited Dr. Giorgia Baldi, who specialises in Islamic law and gender in the Middle East, to contextualise the film. Fresh Perspectives recruitment is ongoing, and membership and all activities are free. If you are interested you need to complete an application form (see the link below). Applications get reviewed four times a year, the next review is in March.